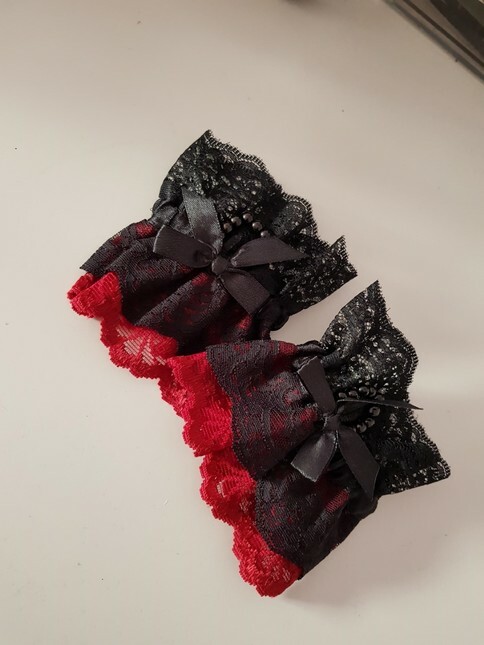 Off brand black and red lace wrist cuffs. Brand new and never worn. The red is more of a dark red than my camera has picked up. Price includes UK postage, PM for international postage.